Additional information: Son of Capt. T. M. Hunter. 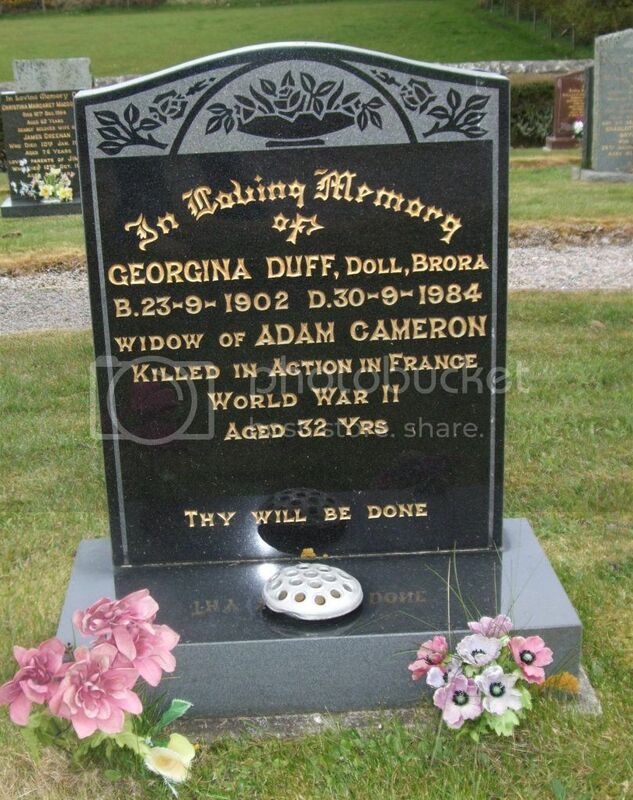 Born at Brora. 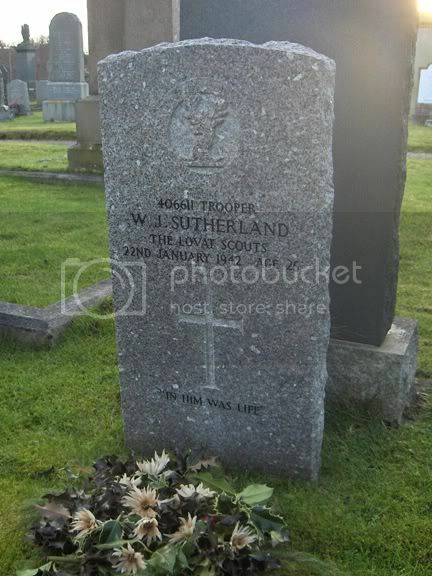 Grave/Memorial Reference: West border. 167. 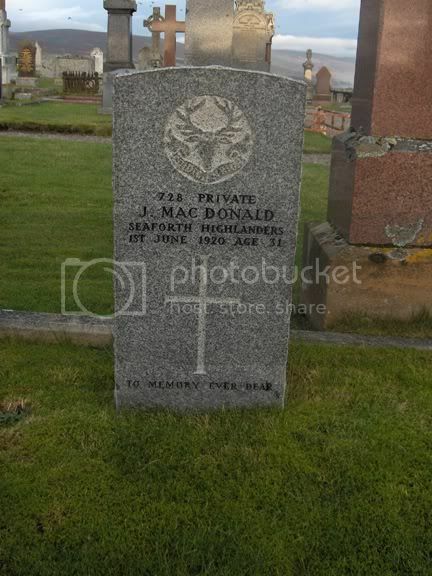 Additional information: Son of John MacDonald, of Gower St., Brora. 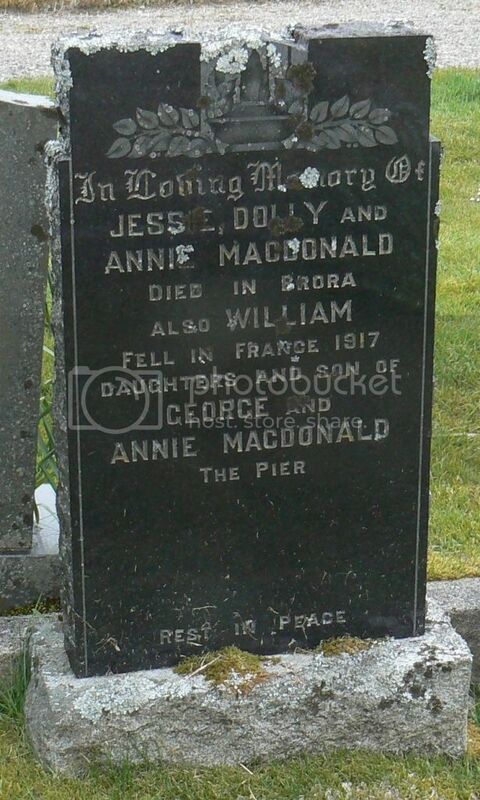 Additional information: Son of John and Williamina MacKay, of Ardachu, Brora. 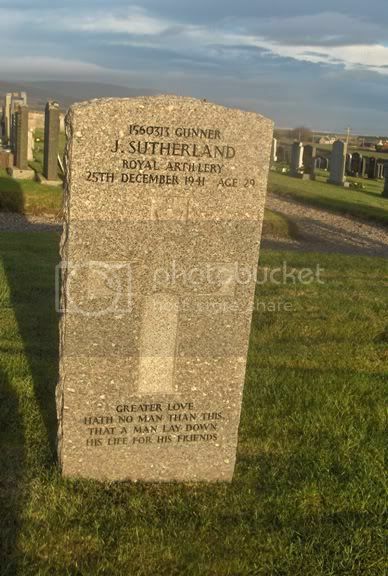 Additional information: Husband of C. Sutherland, of Gower St. Cottages, Brora. Grave/Memorial Reference: East border. 89. 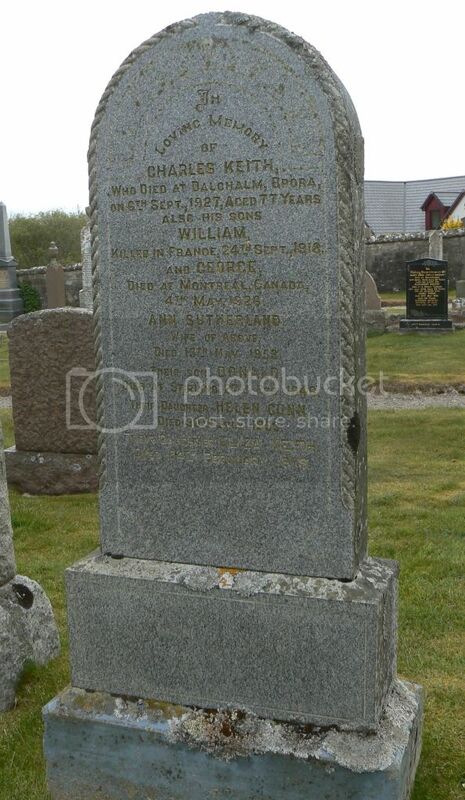 Additional information: Son of William and Johan Sutherland, of Brora. Grave/Memorial Reference: Sec. D. Grave 540. Unit Text: 181 Bty., 60 Lt. A.A. Regt. 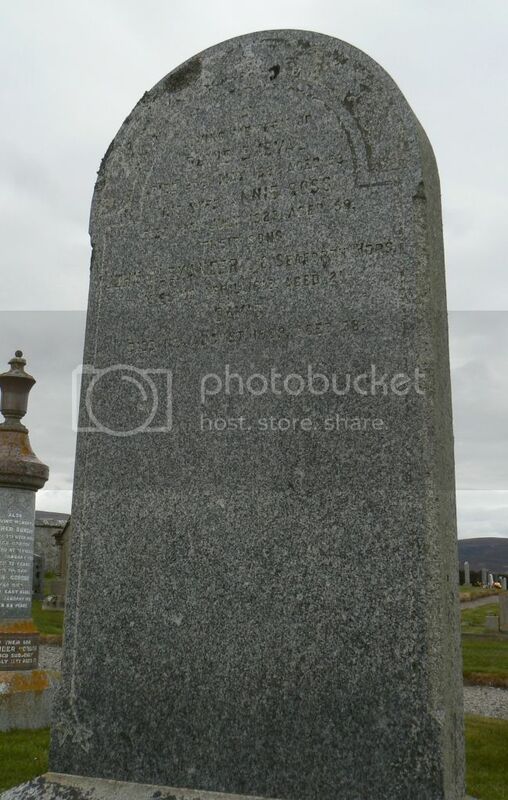 Additional information: Son of John and Catherine Sutherland, of Brora. Grave/Memorial Reference: East Border. Grave 79. 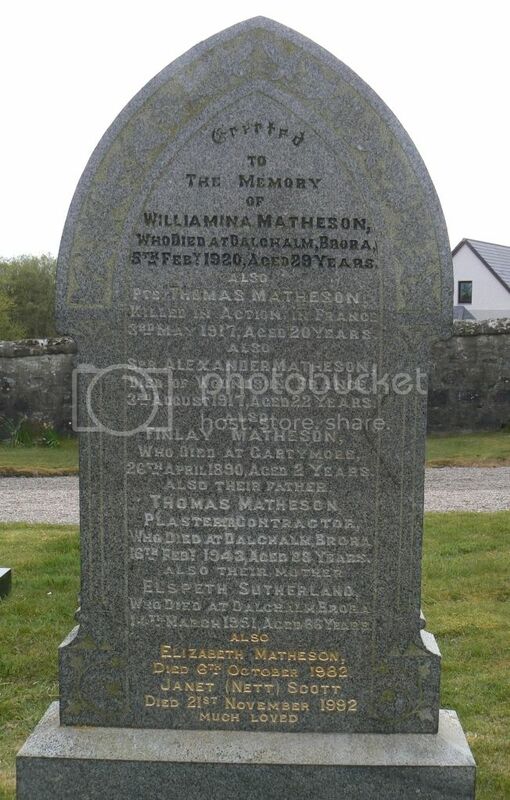 Son of Mr. and Mrs. T. Matheson, of Dalchalm, Brora, Sutherlandshire. 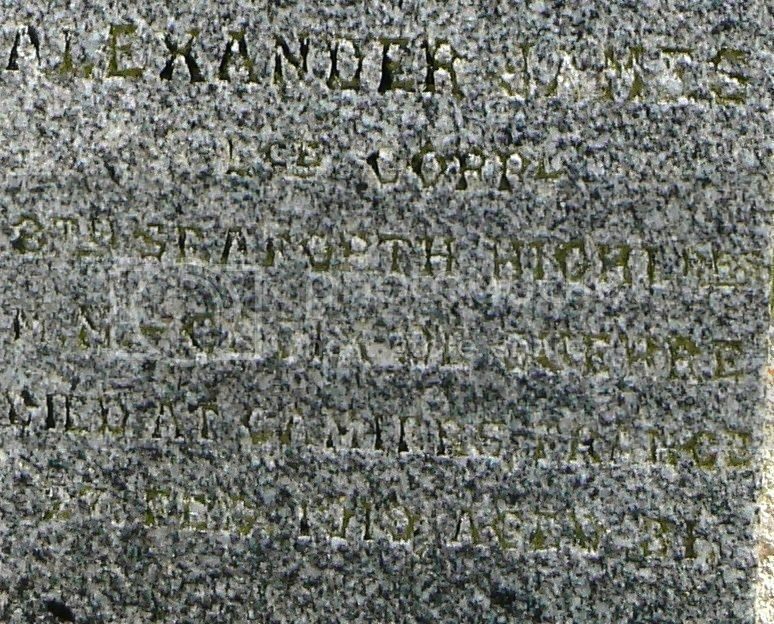 BREMNER, Alexander James. M.M. C.deG. 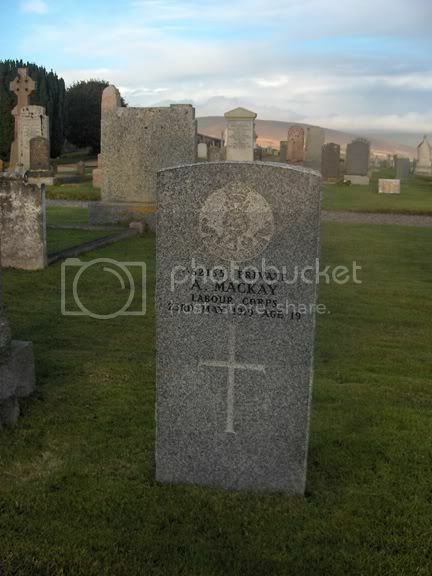 Unit: 8th (Service) Battalion, Seaforth Highlanders. 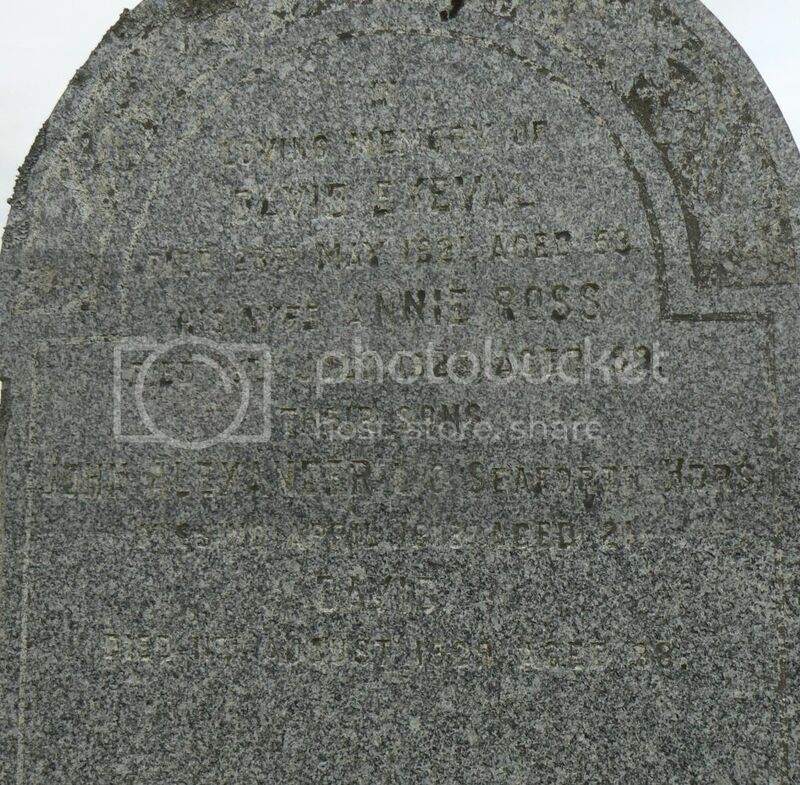 Commemorated on the family headstone in Clyne New Burial Ground. Unit: 43rd (Manitoba)(79th Cameron Highlanders of Canada) Battalion, Canadian Expeditionary Force. 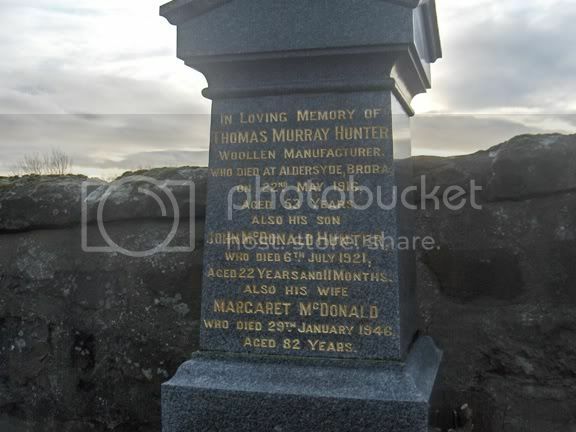 Parents: John and Margaret (Sutherland)Duncan of Shoemaker Street. Brora. Buried: Regina Trench Cemetery, France. 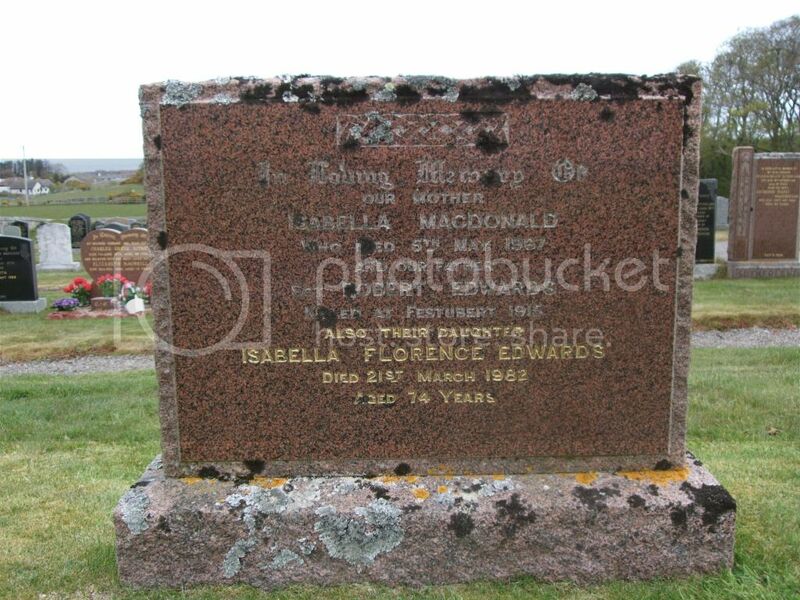 Memorials: Listed on the Clyne War Memorial, Brora. Buried: Chapelle British Cemetery, France. 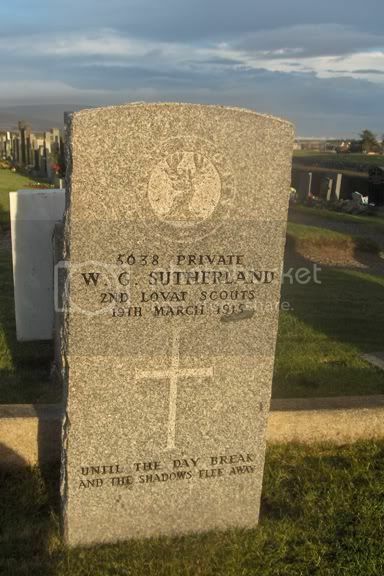 Memorials: Listed on the Clyne War Memorial as Driver.